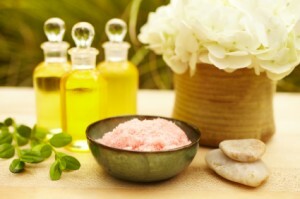 Exfoliating is an essential part of dry skin care, but like most things, it can be overdone. I recommend a 30-second session, twice a week, with a mild, natural exfoliant. No more than that. However, some people may exfoliate too often, or they may exfoliate when they have been out in the sun, or when they have had another kind of facial treatment. Scrubbing too hard can be an issue as well. All of which raises the question – how do you know if you are exfoliating too much? 1. Your skin has dry patches or feels drier all over than it’s ever been. 2. Your skin is more sensitive than it’s ever been, reacting faster to the elements, stress and other irritants. 3. Your skin is itchy. 4. Your skin is plagued by redness. 5. You’ve noticed that you’ve developed a lot of acne and inflammation recently. If you are seeing any of these 5 signs, you may be exfoliating too much. You may also be using an exfoliant that is too harsh for your skin. 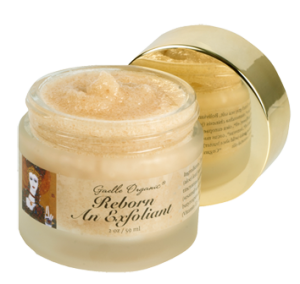 Use an exfoliant that is formulated to also moisturize your skin. Exfoliate no more than twice a week. Never exfoliate when your skin is stressed.